For such a symbolic moment, the events of 14 July offered little drama – the first member of New Zealand’s inaugural Parliament, Hugh Carleton, was elected unopposed at Russell in the Bay of Islands. Few of the district’s 142 registered electors were present when Carleton was nominated and, in the absence of an opponent, declared duly elected. Due to the difficulties of travel and the small number of electoral officials, early elections were staggered over weeks or months. In 1853, it took 2½ months to elect the 37 members of the House of Representatives, the superintendents of the colony’s six provinces and the 87 members of the provincial councils. The level of popular interest and participation varied widely around the colony. In a number of electorates, like the Bay of Islands, the elections aroused little excitement. Other contests, especially in the capital, Auckland, were fiercely fought and tainted by allegations of corruption and drunkenness. 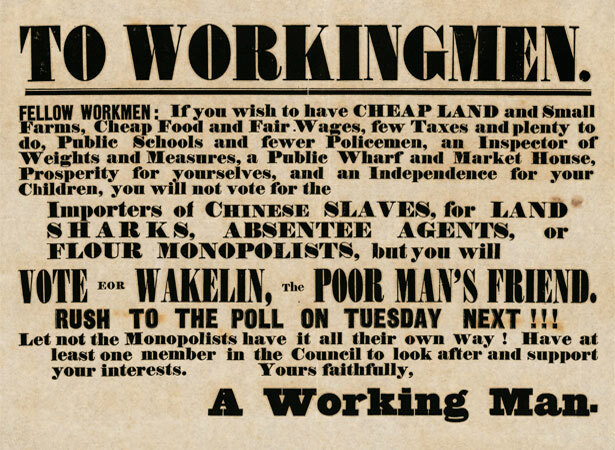 The Members of Parliament elected in 1853 would assemble for the first time in Auckland the following year (see 24 May). We have 2 biographies, 3 articles, related to New Zealand's first general election begins.